How about a ski vacation in an exclusive village that has generated numerous worldcup skiers? I'm sure it sounds good until I mention the 50-meter vertical difference and rain. I happened to be home during the ski vacations week, and I thought it would be fun to ski every day. Not full days... I had to work. But at least an hour or two every day. I had also taken my skis to be serviced (to Skiservice in Pitäjänmäki), and decided to buy new racing skis for the faster runs. I very much wanted to try them out. I had a surprising amount of fun. Pure skiing, not many other things. I was able to use all time for the skiing itself. My skis were always in the car, my ski clothes strategically placed on the middle of the living room floor. I took me three minutes to put them on. Another three minutes to drive to the slope, and then some time to put on the boots. Still, I was in the ski lift ten minutes after making the decision to go. I also bought a season pass. At 195€ this was as much as a ski pass for a long weekend on the alps. But even if I am not looking at costs, it is an extremely easy solution. I can just show up and ski, no need to queue up or carry a wallet. Except for the first day, the weather was gloomy, grey and rainy. But even if skiing the full day in rain will get to you, and will eventually make at least some of your clothes wet, in good clothes you do not even notie the rain if you only ski for an hour or two. And you will not get overly tired. And even if the slope is small, it was fun to ski. One round is about two and half minutes. 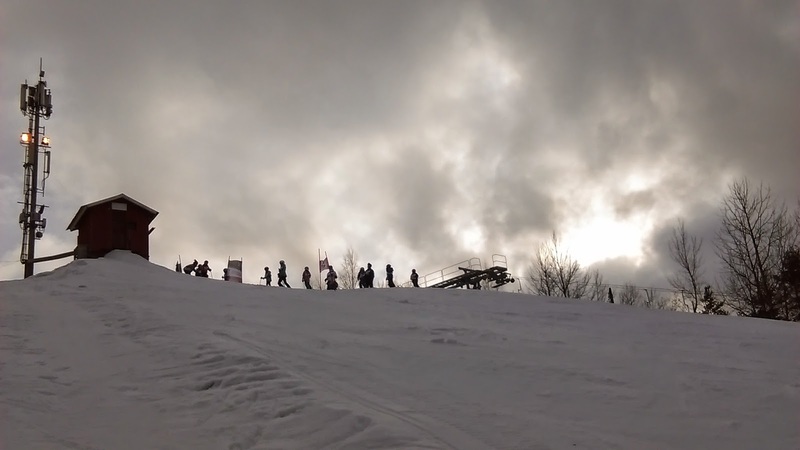 Two minutes to go up, ten seconds ski down, and some time for entering and leaving the ski lift. 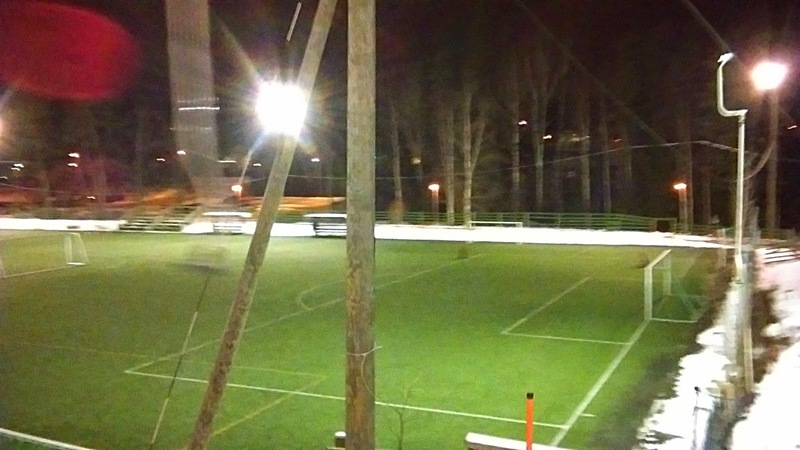 But above all, the small hill is fun because there's a special feeling. It is not a commercial operation. 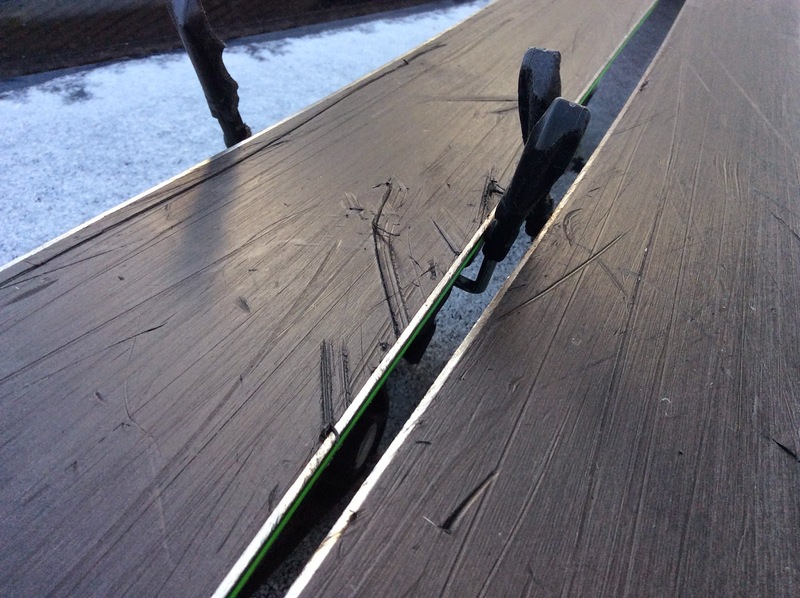 It is not from the same mold as all other ski areas. This year, Grani has grown from one lift to three. 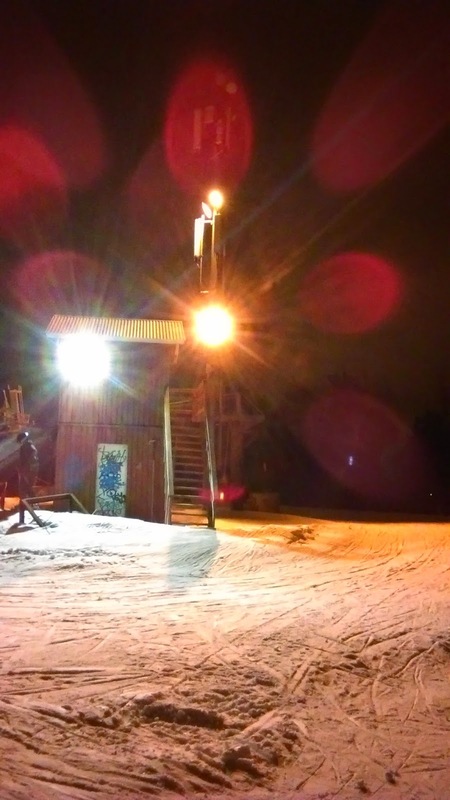 A new, fast button lift is on the right side for the competitors and training, and a new beginninger rope tow on the left. The slope is full of tiny kids from three or four years upwards. 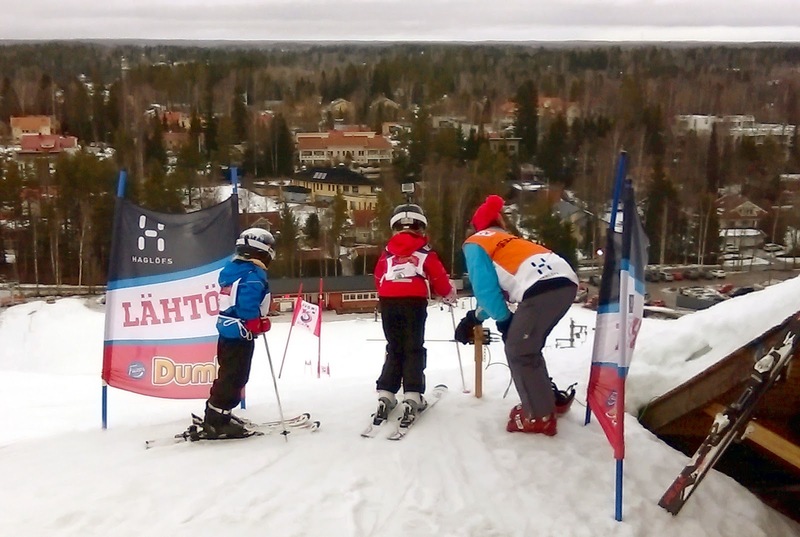 And there are often races, like this Sunday when they held the Suomi-Slalom competition, a national circuit of local hill competitions. 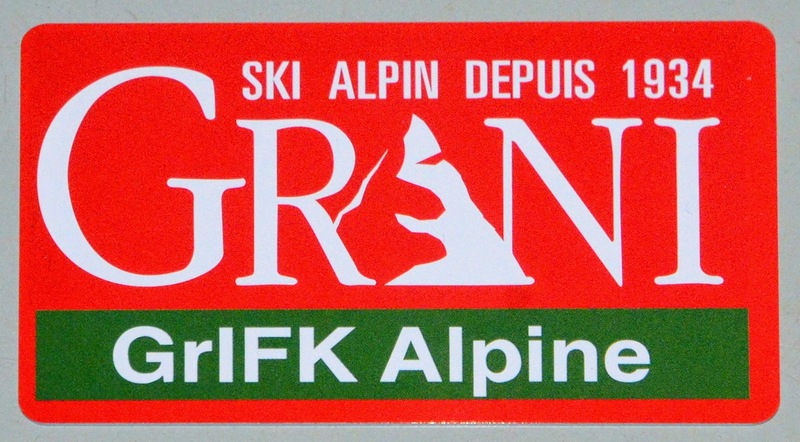 Every year 500 kids are trained in the GrIFK ski school. The team has 15 FIS-accredited skiers. The only potential cause for complaint is that I rarely see adults in the slope. During the week there was only one other (non-teacher) adult, and I think she may have been the mother of one of the kids on the hill :-) And when I bought my season's pass at the Café Alpenhütte, they asked if it is really for me. Oh well. 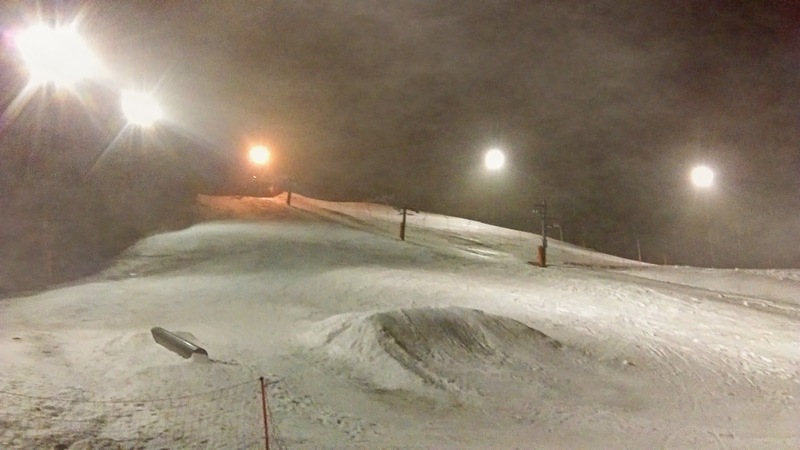 Even us adults can ski this small hill. I take it as practice and exercise. 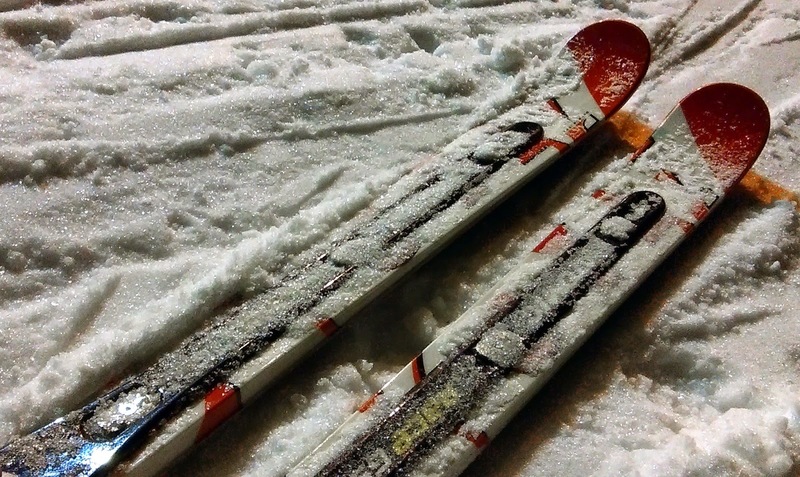 It is one thing to ski every day than to make one trip per year. We should use the possibilities we have! Photos (c) 2015 by Jari Arkko. Tämä blogi löytyy myös suomeksi. 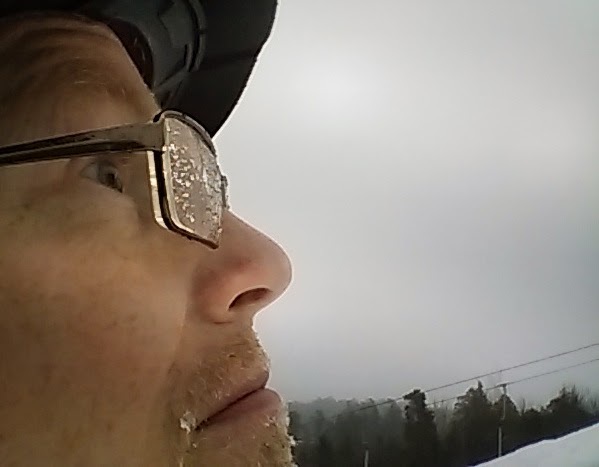 Having come back from the tropics, it feels surprisingly good to be in cold air, on a shiny white ski hill. And particularly with new skis! Today I took my Salomon Rockers to the repair shop, the last few trips have been really hard on them. I think they can still be repaired, but I've been hitting rocks a lot. And I finally got myself a pair of faster skis, the Atomic Race D2 GS skis. 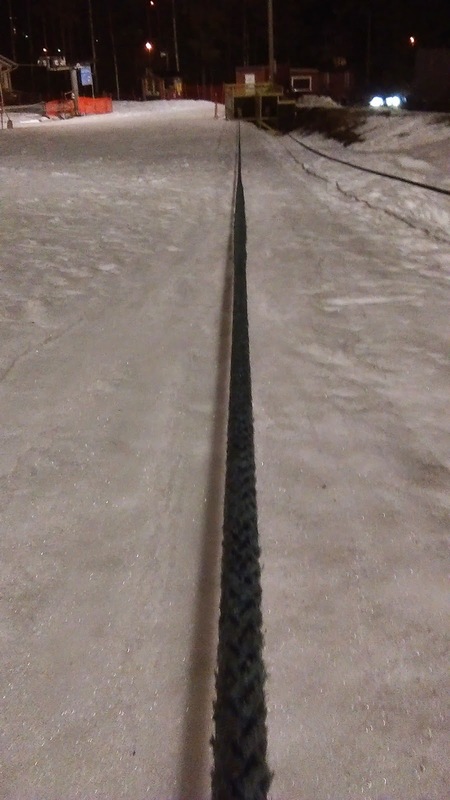 These are thin and long (191cm) skis with a 27 meter turn radius. They are for the previous, not current official race standards, so they were very affordable. I did not get them for all-mountain skiing, but for the few occasions when I want to ski fast. I feel excited. Want to take them for more rides in the coming evenings.